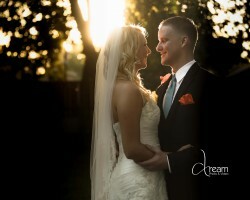 Dream Photo and Video is best known for their top quality work and customer satisfaction! Their photos and videos are exquisite and flawless every time, to insure the ultimate client fulfillment. You will be able to look back on the memories from your special day and be in awe as your reminisce back to every special moment. Their full range of services and bilingual staff enable you to choose from photography and videography of different styles for all of your events. Whether that is walking down the aisle to marry your soul-mate or celebrate the birth of your new addition to the family. This is a decision you are sure not to regret, so go on ahead and let us make your DREAMS come true at Dream Photo & Video. Achieving some of the most exquisite cinematic storytelling wedding videos in the industry, Pixel Studio Productions has been preserving genuine love stores for years. Their team of top-notch photographers and videographers bring a unique style to Houston. Illustrating professional high-impact footage, Pixel Studios marries your favorite songs to your timeless experience. Call Pixel Studios today to schedule an in-dept free consultation of your wedding day memories. If you would like your day to be seen on film as honestly as it happened then hiring Houston Memorable Events will ensure that your love story and wedding story will be told in a documentary style. This style will allow you to relive the day exactly as it happened when you watch the video. These videographers are famous for this style and truly are the best when it comes to combining the uniqueness of your day with their creativity in the shooting and editing processes. Perry Evan Films is a company dedicated to capturing the memories that you will cherish for the rest of your lives. From the very first step you take down the aisle, to the last dance. 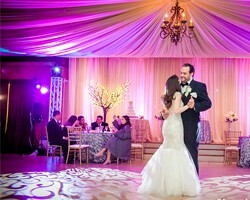 Not only will these talented Houston wedding videographers capture your wedding day, but they will create a video that contains the highlights from the event, presented in the most unique and timeless fashion. You will be able to watch these most precious moments over and over again when you hire this company as your wedding videography team. Julie and Jack Perry are the wedding videographers, and are actually a couple themselves, working at Perry Video. 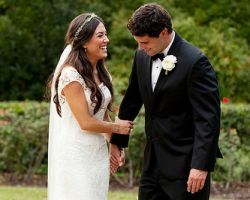 They use their talents to capture all of the love and excitement of weddings in Houston. This team has been filming weddings in the area for 13 years and still receives kind words from former clients who are now showing their wedding film to their children. This pair is not only talented with the camera and in the editing process, but they are truly a pleasure to know and make everyone around them feel comfortable.